The album chronicles the life of the Brevard family of Camden, SC. The Brevards owned a home in the present day Dusty Bend area. 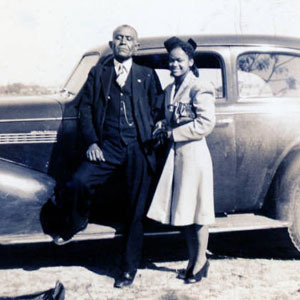 A middle-class African American family, the Brevards maintained strong extended family ties both locally and nationally, believed in an excellent education for their children, and some of them loved taking pictures. The majority of the photographs were taken in the 1930s-1940s and center around the Brevard children, their friends, and their school, Mather Academy.